Last week I spent a few days in Wichita, KS working on some photographs for a story that Arthur Sulzberger was doing for the Times. 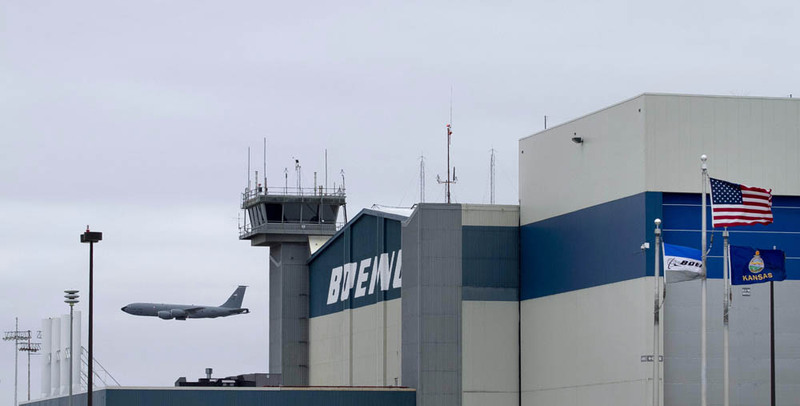 It had been a few days since the news that Boeing would be pulling up shop and leaving Wichita by the end of 2013, ending an 80+ year relationship with the city. 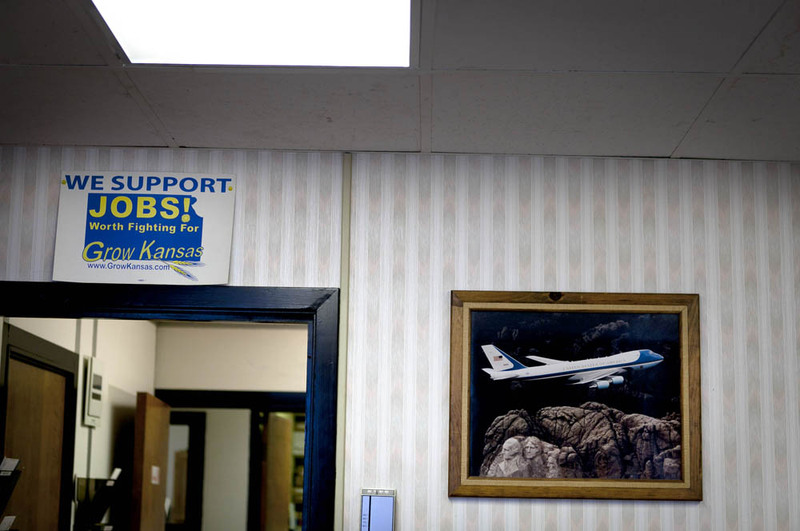 So the story became not so much the fact that the city would be losing over 2,000 jobs, but more a look into how closely Wichita is tied to the aircraft industry. 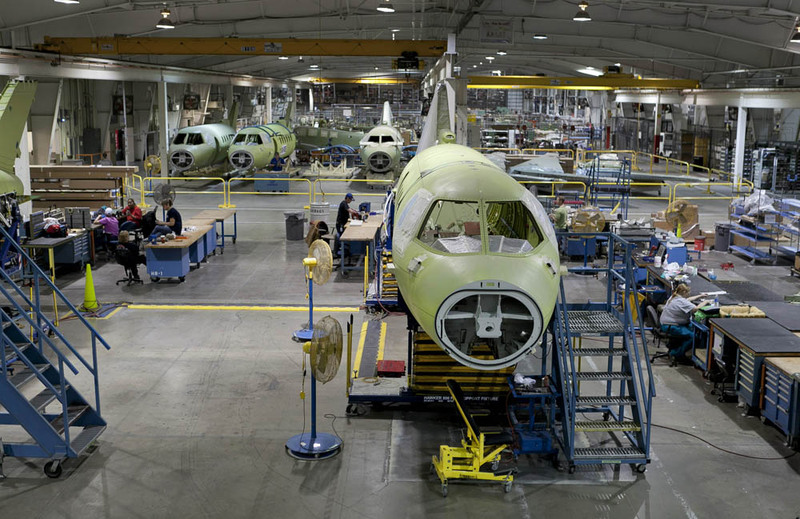 Having grown up in Wichita and being aware of all the people that worked in the aircraft industry there, I was even amazed at just how integral Wichita has been in the production of airplanes over the last century. With airplane producers like Cessna, Hawker Beechcraft and Boeing (three of the big ones) having large operations in Wichita, it’s clear Wichita, KS owns the moniker “Air Capital of the World”. So here is Arthur’s story here which gets into some of the details. Here are some images that ran and a few others I decided to post. 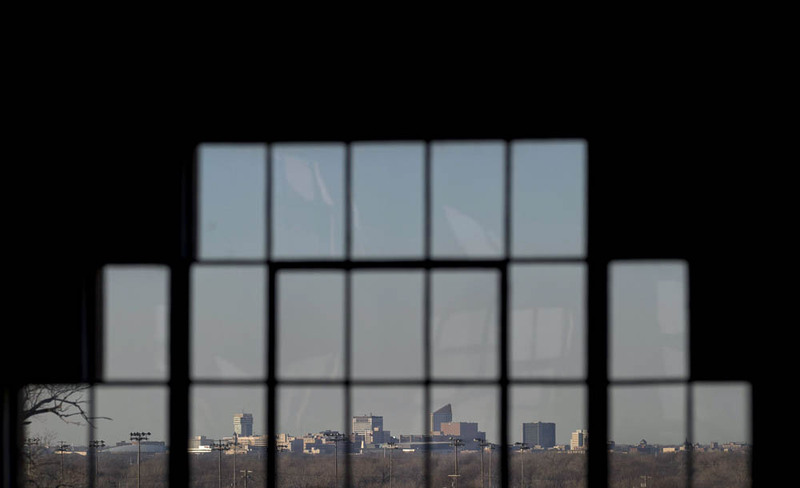 Downtown Wichita can be seen through the windows of the Kansas Aviation Museum. 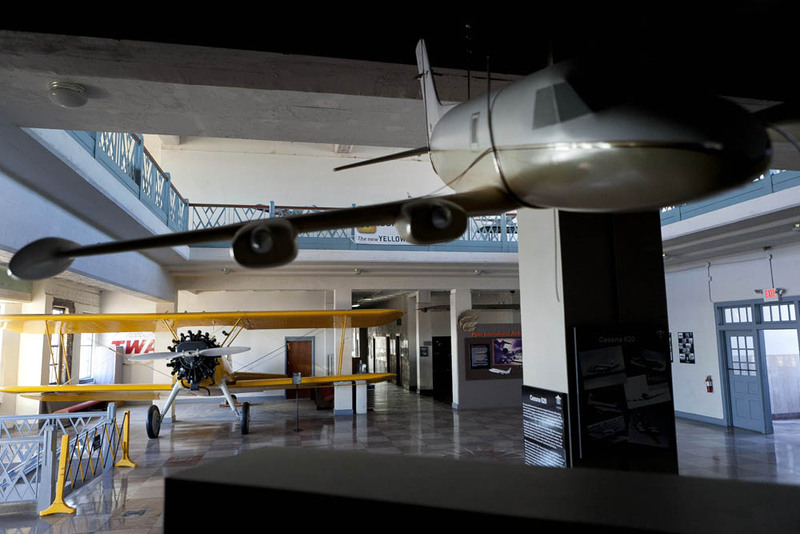 The land and buildings that now make up the Museum was the location of Wichita’s original airport. It was all around this area of south east Wichita that the aviation industry grew up many decades ago. Air Force One is worked on at the Boeing plant in Wichita, KS. The work on that aircraft will move to San Antonio with the closing of the Wichita Boeing operation. 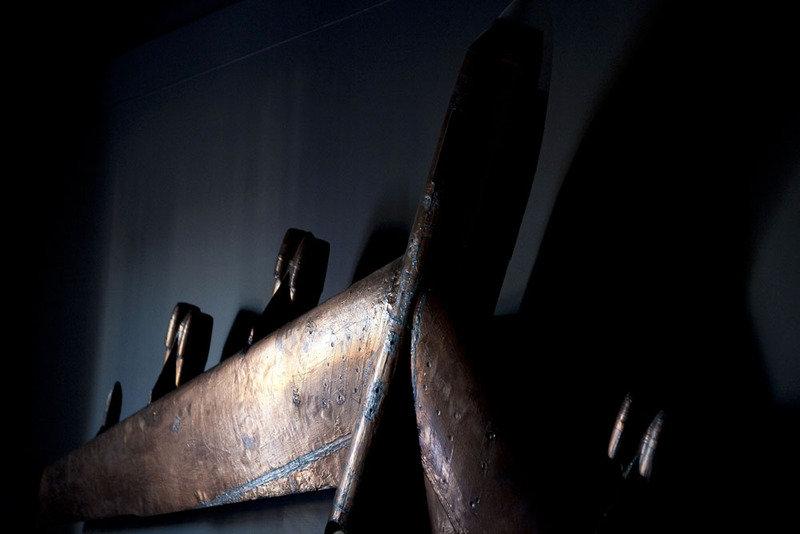 A bronze sculpture of a B-52 airplane hangs on a wall in the Kansas Aviation Museum. 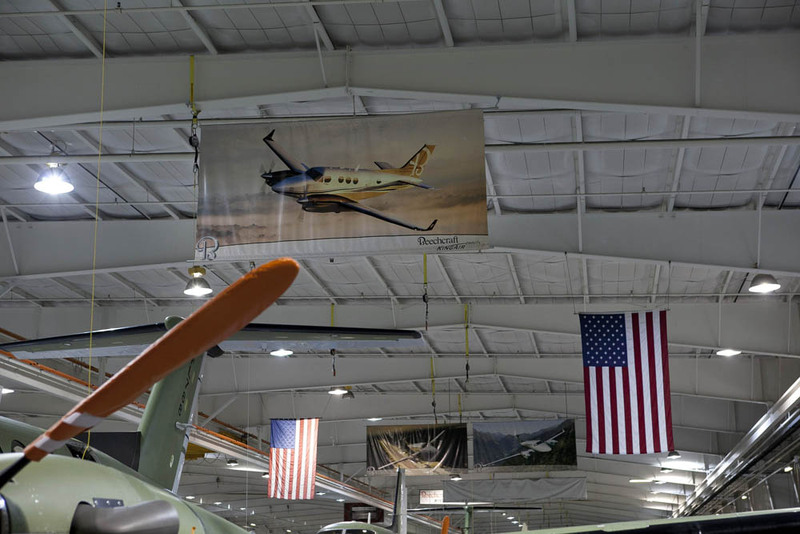 The displays inside the Kansas Aviation Museum tell the story of Wichita’s tie to the aircraft industry. The planes on display here are a Stearman model 73 (back left), built in 1935, and a model replica of a Cessna 620 (right). 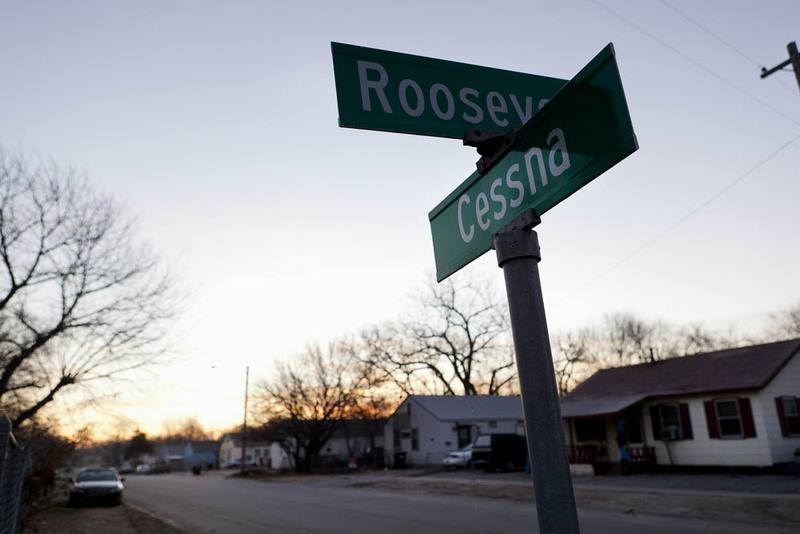 Cessna Street in Wichita is in the Planeview neighborhood which was a neighborhood created for Boeing workers during World War II. 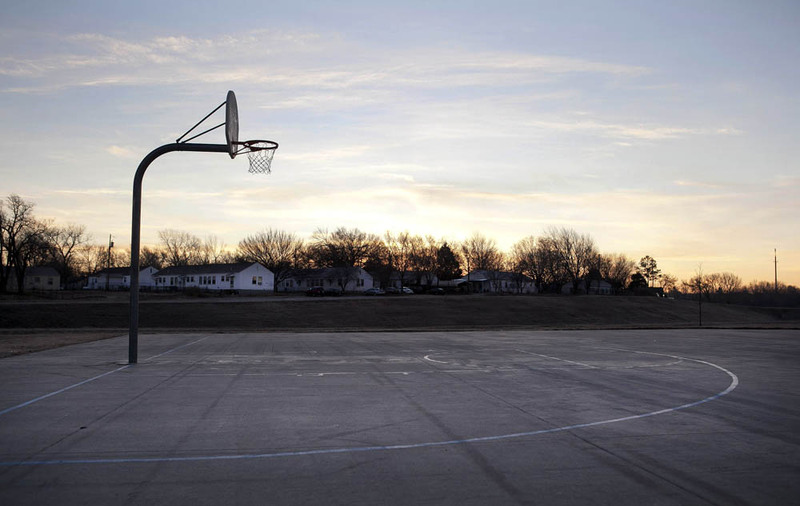 The basketball court here is in Stearman Park. Stearman was an airplane producer in Wichita’s early days of aircraft production. Hanger 4 production line at Hawker Beechcraft. Hawker 900′s are lined up being assembled in Hanger 4 at Hawker Beechcraft. 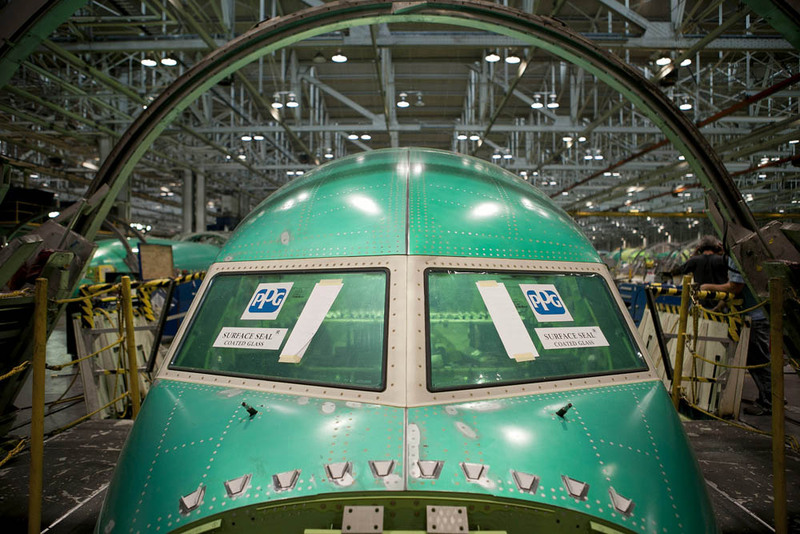 The fuselage of a Boeing 737 waits in integration position #6 for assembly in the Spirit AeroSystems plant. Tom Aikens works on adjusting the nose bay doors on a Premiere 1A aircraft in Hanger 4 at Hawker Beechcraft. 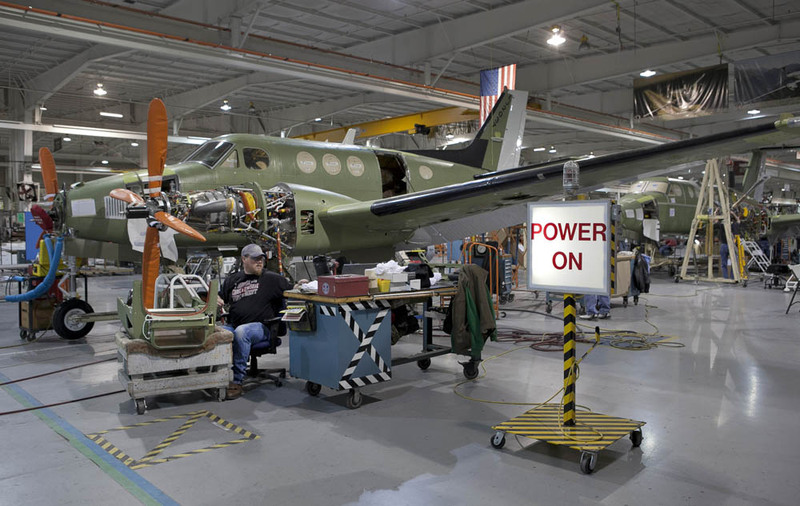 A picture of a Beechcraft Kingair hangs above the assembly line in Hanger 4 at Hawker Beechcraft in Wichita. 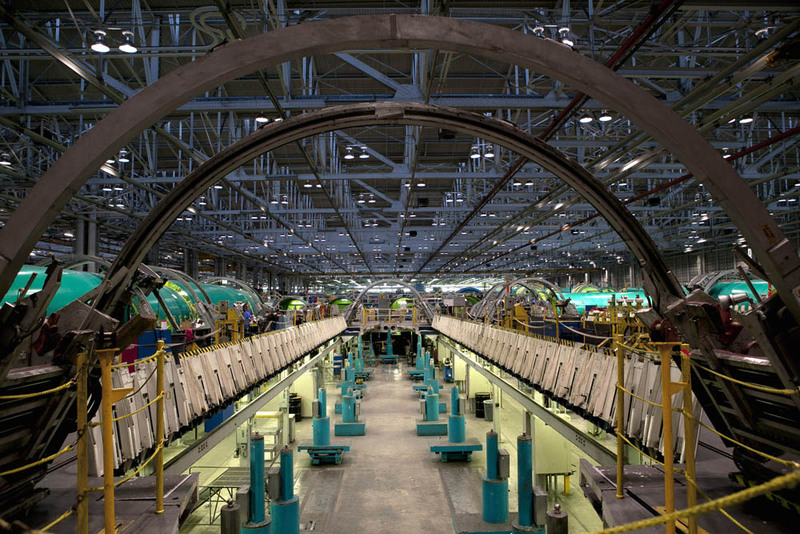 This is an empty integration position where the fuselage of a Boeing 737 is assembled in the Spirit AeroSystems plant. 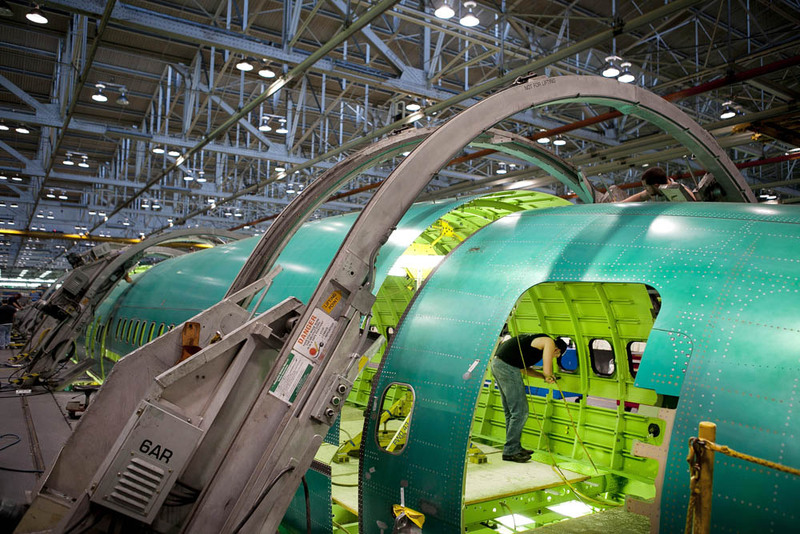 All the pieces of a fuselage for a Boeing 737 are brought into this space where it is assembled by workers. An Air Force KC135 refueler does touch and go landings on a runway behind the Boeing plant in southeast Wichita Wednesday. Hawker Beechcraft airplanes are lined up for assembly in Hanger 4 at Hawker Beechcraft. Beechcraft Kingair’s are lined up for assembly in Hanger 4 at Hawker Beechcraft. 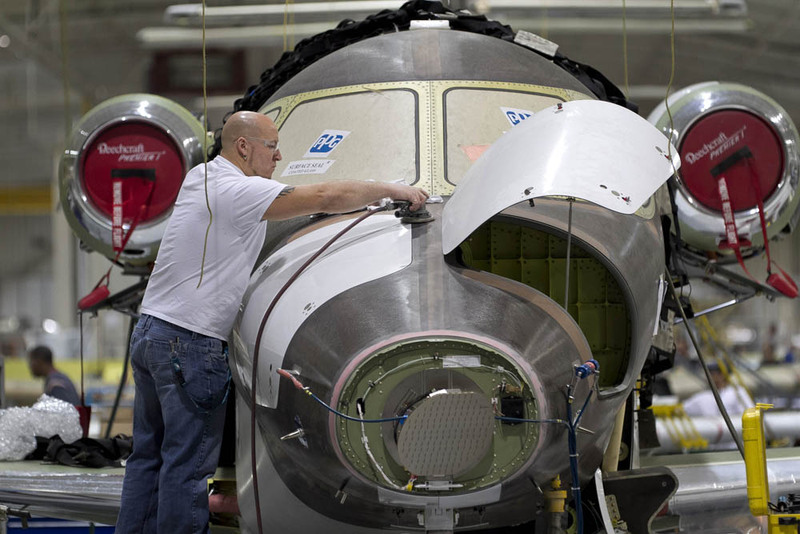 Spirit AeroSystems sheet metal assembly worker Jeremy Walker works on assembling the fuselage of a Boeing 737 in the Spirit plant Wednesday. Walker has worked for Spirit for 10 months. 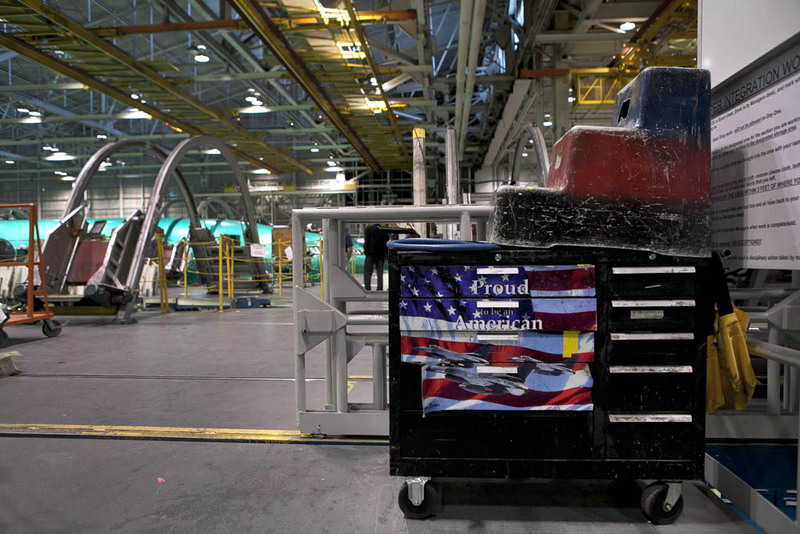 A tool box next to an integration position where the fuselage of a Boeing 737 is assembled in the Spirit AeroSystems plant. 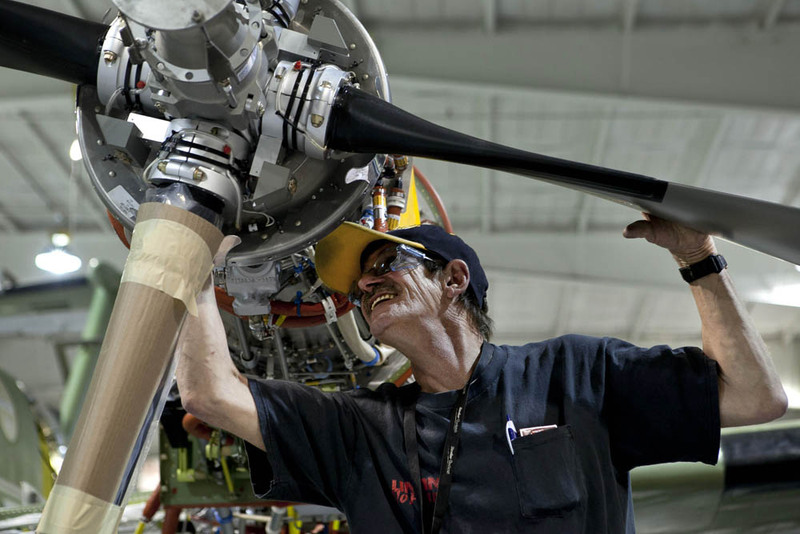 Roger Pierce works on assembling a prop on a Beechcraft Kingair 350 in Hanger 4 at Hawker Beechcraft. 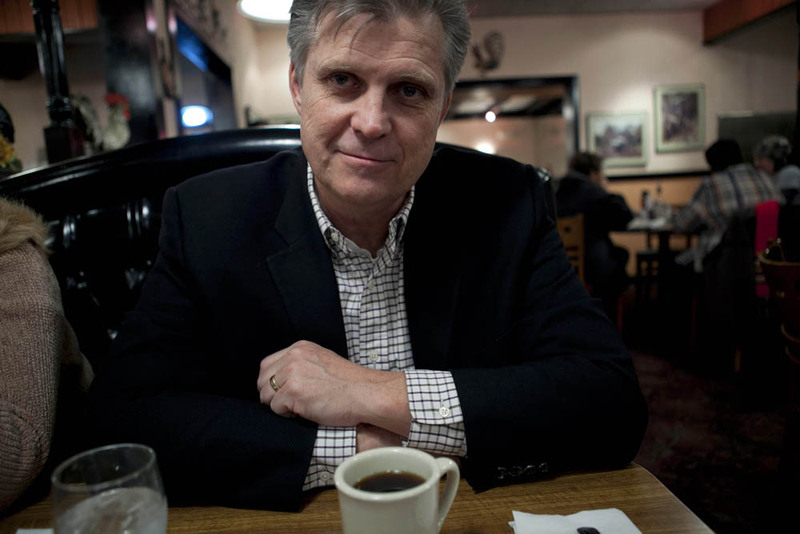 Former Representative Todd Tiahrt worked for ten years to get the tanker contract in Boeing’s hands only for the company to leave the city he served after the contract was theirs. 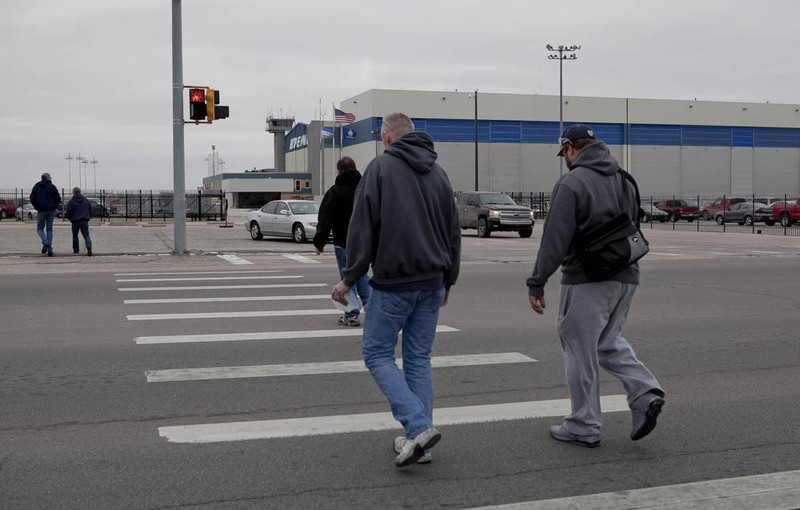 Spirit AeroSystems employee’s walk across Oliver Street to their parked cars after their shift was over at Spirit. 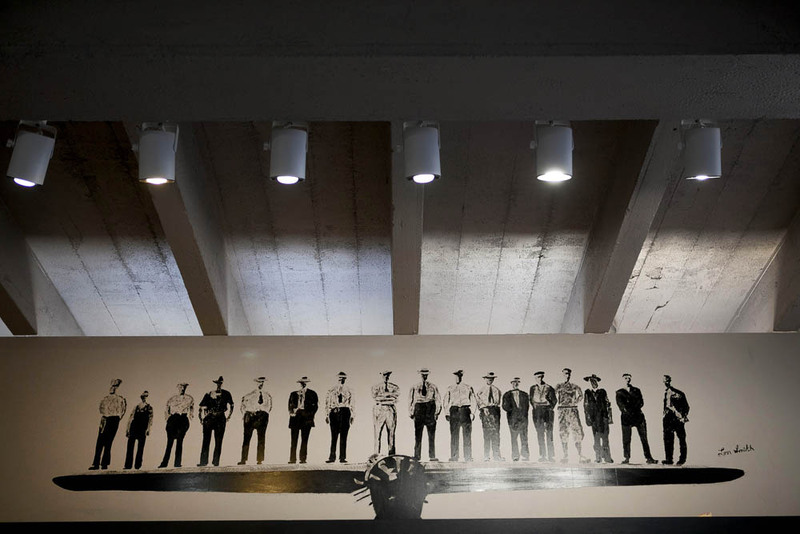 The displays inside the Kansas Aviation Museum tell the story of Wichita’s tie to the aircraft industry. This is a painting of an old photograph of a 1927 Cessna AW with airplane workers standing on the wings to display its strength. From the property of the Kansas Aviation Museum you can see the hangers that Boeing uses for their work in Wichita, KS. 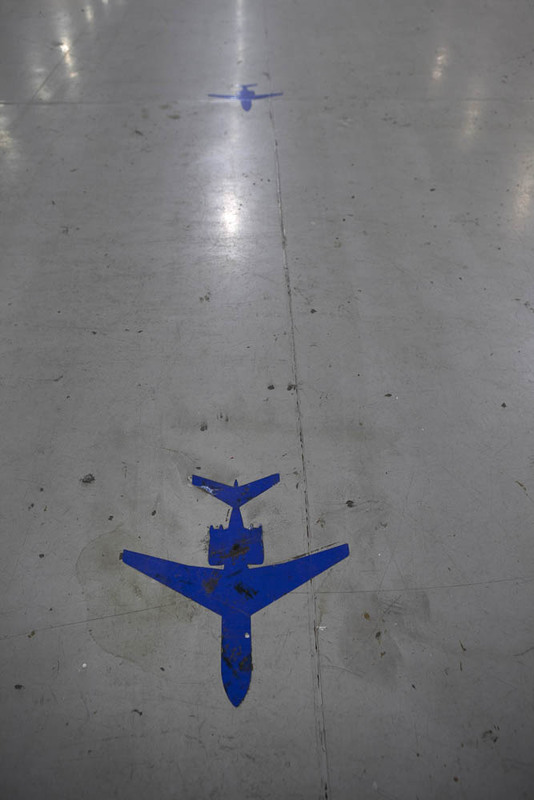 When Boeing leaves Wichita in 2013 those hangers will sit empty. 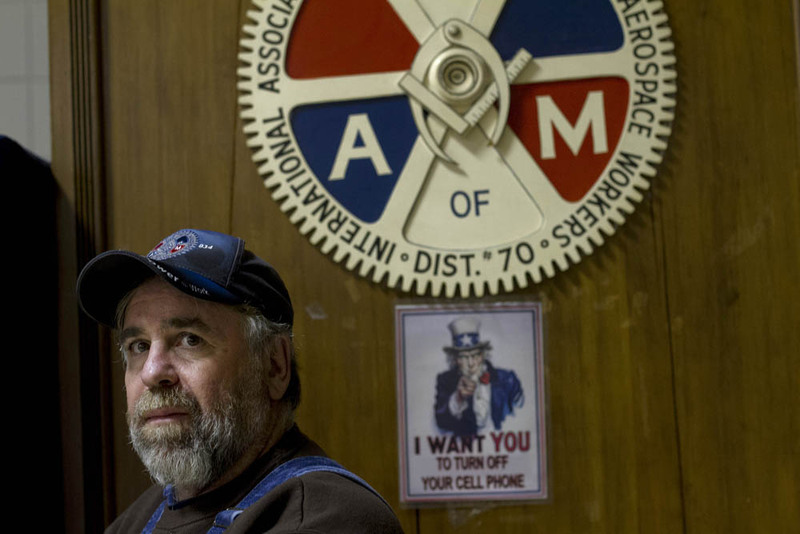 International Association of Machinists & Aerospace Workers (IAMAW) District Lodge No. 70 President Steve Rooney is a third generation Boeing employee. His daughter was a fourth generation Boeing employee. 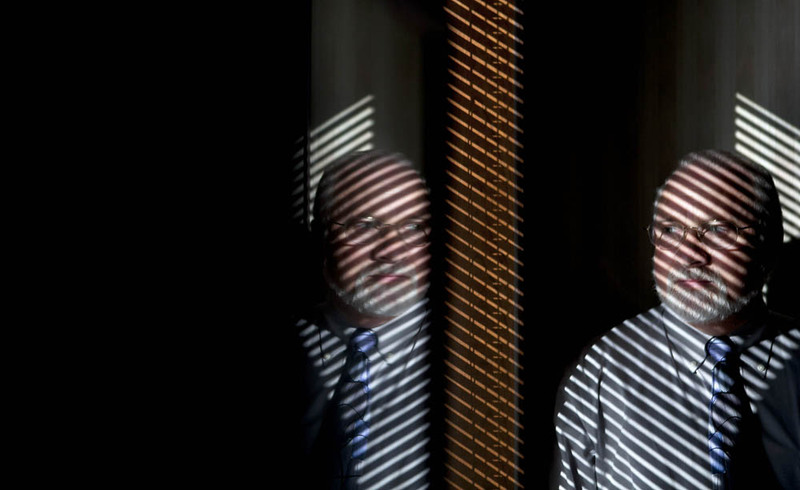 Boeing employee Dave Robertson has worked for the aircraft company for nearly 35 years. 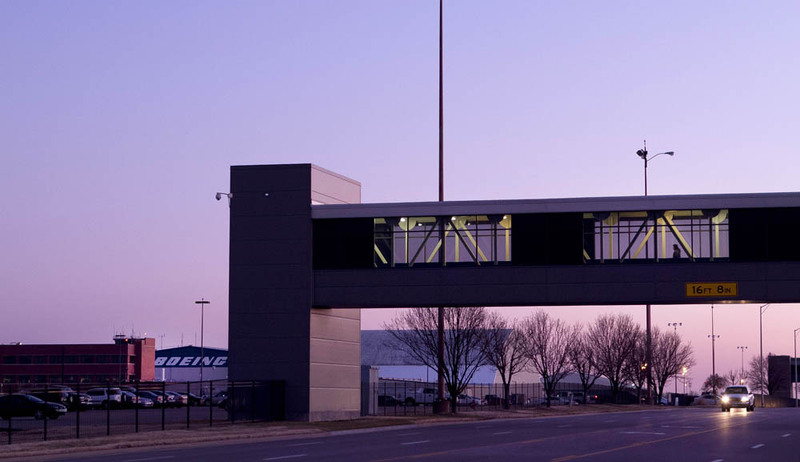 The Boeing plant is located in southern Wichita. 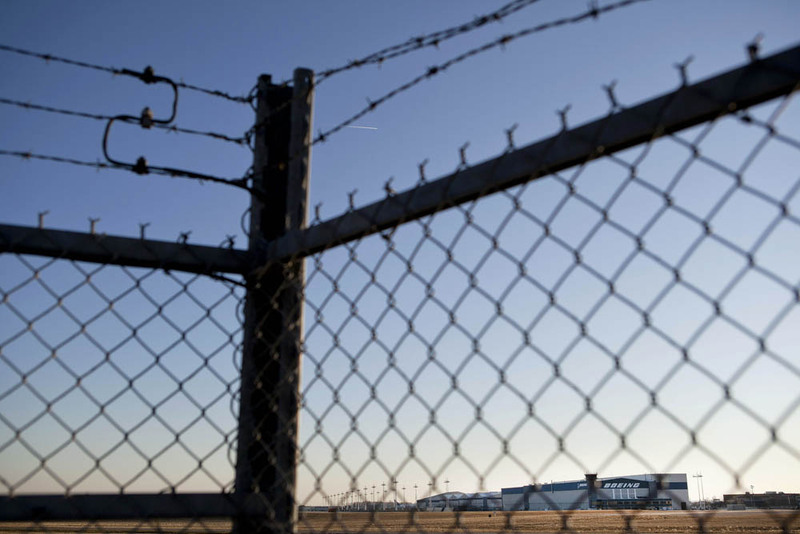 They own 96 buildings that they use to work on airplanes.